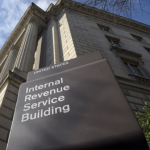 The Internal Revenue Service has revamped its approach to identify, test, procure and deploy technology platforms that can support tax collection and management functions. A FedBizOpps notice posted Thursday stated IRS aims to accelerate the timeline for the agency's bid solicitation process and introduce multiple projects or contests through the Pilot IRS framework. The agency will publish information about the outcomes, funded systems, potential applications and lessons learned on each project or solution challenge that will highlight an area of interest such as digitization and robotic process automation. IRS seeks to inform participants of requirements and offer feedback on proposals within weeks rather than months. It also intends to communicate preliminary thoughts on offerings before making a funding decision. Each project and challenge will receive $7M in total funds over a period of up to five years.